and all of the others, including Love. So all constructed boats and left. Except for Love. Love was the only one who stayed. Love decided to ask for help. Richness answered, “No, I cant. There is a lot of gold and silver in my boat. There is no place here for you. who was also passing by in a beautiful vessel. Love even forgot to ask the elder where they were going. 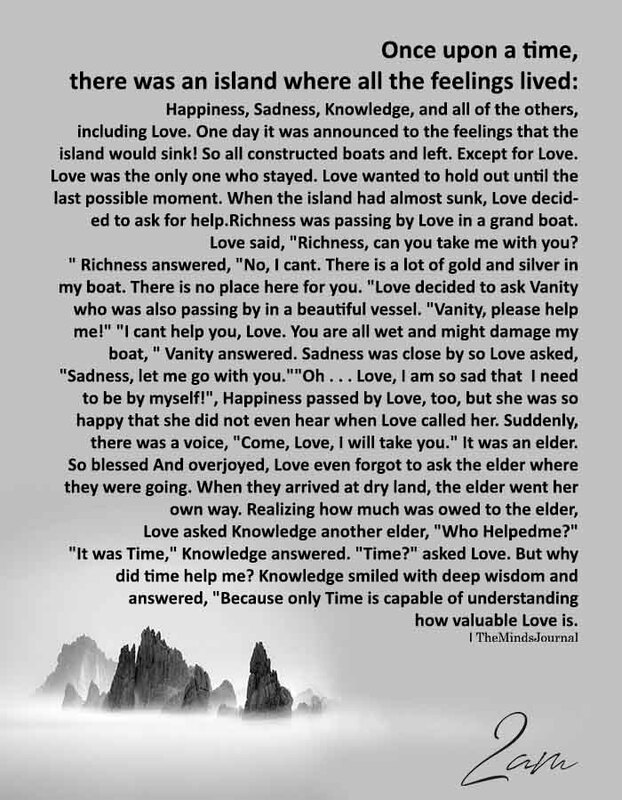 “Time?” asked Love. But why did time help me?